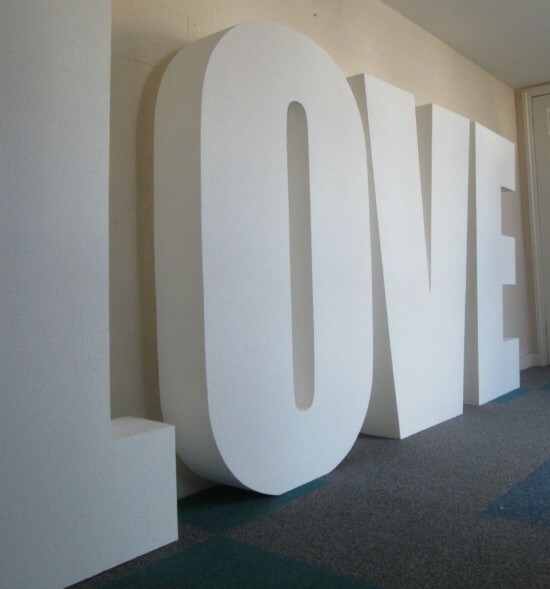 1000mm high, 300mm thick polystyrene letters, painted in two layers of vinyl matt emulsion, DIN Mittelschrift Font. 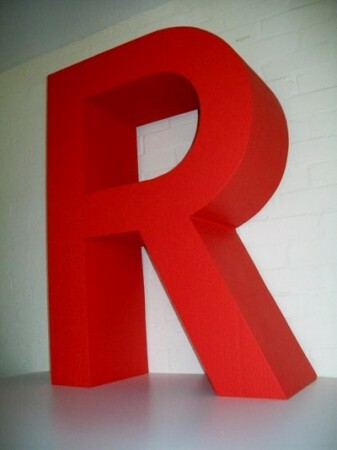 The letters on this order were supplied for use the offices of a Finance Company in London. 1500mm high polystyrene letters, 200mm thick, painted in two layers of white masonry paint for outside use, Impact font. Purchased by a wedding planners and events organiser.